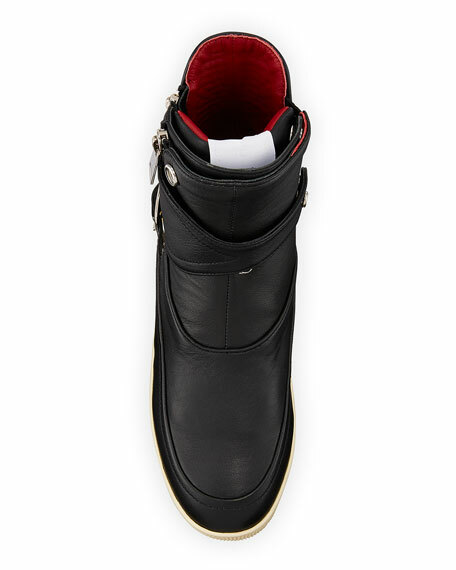 Haculla high-top boot-style sneaker in smooth leather with oversize buckle detail. Side zip for ease of dress. Balenciaga stretch-knit trainer. Logo-print fold-over cuff. Flat wedge heel. Reinforced round toe. Pull-on style. Logo at side. Rubber outsole. Made in Italy. 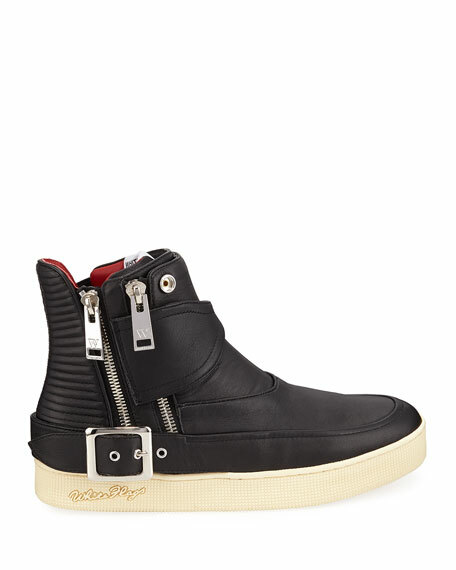 Balenciaga trainer sneaker in mesh and calf leather with suede trim. Round toe. Lace-up front. Looped pull at tongue. Tricolor rubber outsole. Dad sneaker. "Triple S" is imported. 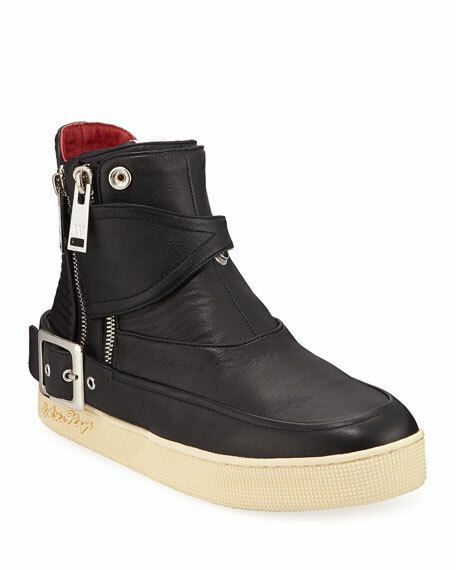 Dsquared2 trainer sneaker in neoprene and leather. Round, reinforced toe. Printed ICON strap across vamp. Pull tab at front and back collar. Reinforced heel counter. Sporty rubber outsole. Slip-on style. Made in Italy. Hender Scheme sneaker in solid cow leather. Tonal top stitching. Flat heel. Round toe. Lace-up front. High-top silhouette. Rubber outsole. Hender Scheme sneaker in solid cow leather. Tonal top stitching. Flat heel. Round toe. Lace-up front. High-top silhouette. Rubber outsole. "MIP" is made in Japan.